The U.S. 1, Section RC1 improvements will be completed in five (5) stages. Access will be maintained to driveways along the corridor during construction. Temporary paving to be placed in certain locations along the outside shoulders of U.S. 1, Street Road and the PA Turnpike to accommodate traffic shifts in future stages. Construction to begin of the off-alignment local roads (Red Roof Inn driveway and T-329 relocations). Temporary paving to be placed in the median of U.S. 1, Street Road and the PA Turnpike Interchange ramps to accommodate traffic shifts in future stages. Construction to continue of the off-alignment local roads (Red Roof Inn driveway and T-329 relocations). Full depth reconstruction and widening to begin along the east side of U.S. 1 for construction of NB lanes. Construction of U.S. 1 NB on/off ramps to take place for connecting to Street Road and the PA Turnpike Toll Plaza. Full depth reconstruction and widening to be performed along the south side of Street Road for construction of EB lanes. Median pier construction to begin for U.S. 1 over Street Road and U.S. 1 over the PA Turnpike. A portion of Neshaminy Blvd. to be realigned and reconstructed in the area of the PA Turnpike Interchange. Construction to continue along the east side of U.S. 1 for construction of NB lanes. Full depth reconstruction and widening to be performed along the north side of Street Road for construction of WB lanes. Widening to be performed along west side of PA Turnpike Slip Ramp to/from Street Road for adding a turn lane. Full depth reconstruction to be performed along the median of Street Road for construction of EB and WB lanes. 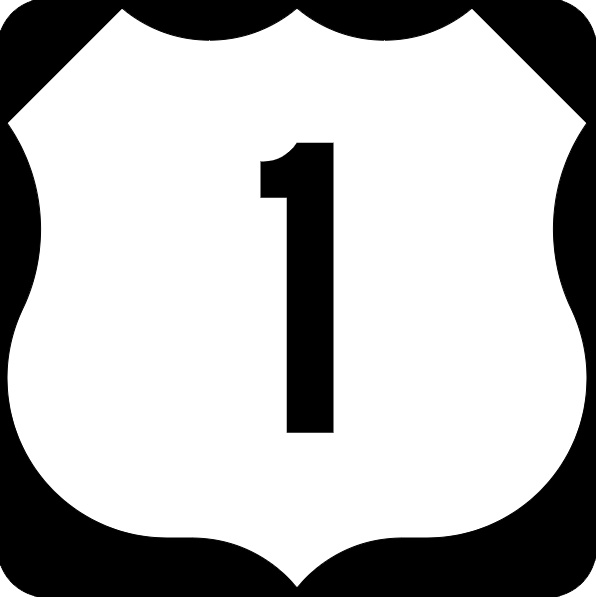 Full depth reconstruction of U.S. 1 median and inside lanes to be performed. Construction of U.S. 1 SB on-ramp from Street Road to be performed. PA Turnpike Slip Ramp from Horizon Blvd. to be realigned and reconstructed. Full depth reconstruction and widening to begin along the west side of U.S. 1 for construction of SB lanes. 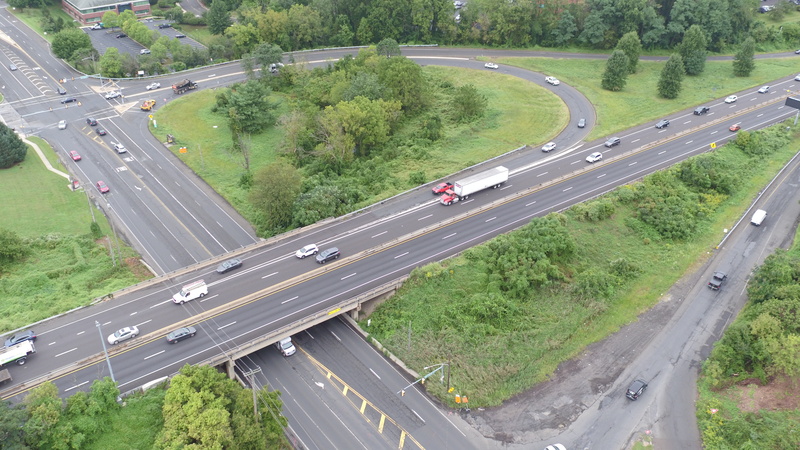 Construction of U.S. 1 SB on/off ramps to take place for connecting to Street Road and the PA Turnpike Toll Plaza. Full depth reconstruction to be performed for Red Roof Inn access road. Construction to continue along the west side of U.S. 1 for construction of SB lanes. Construction to continue for U.S. 1 SB on ramp from the PA Turnpike Toll Plaza. Temporary paving to be placed in the median of U.S. 1 under Bristol Road overpass to accommodate traffic shifts in future stages. Construction to continue for U.S. 1 NB off ramp to the PA Turnpike Toll Plaza. Temporary paving to be placed along the outside shoulders of U.S. 1 under Bristol Road overpass to accommodate traffic shifts in future stages. Full depth reconstruction to be performed along the EB side of Street Road for construction of EB lanes. Median pier construction to begin for Bristol Rd. over U.S. 1. Construction of the Bristol Rd. bridge replacement and approach roadway to be performed. Full depth reconstruction to be performed on North River Dr. and Belmont Ave.